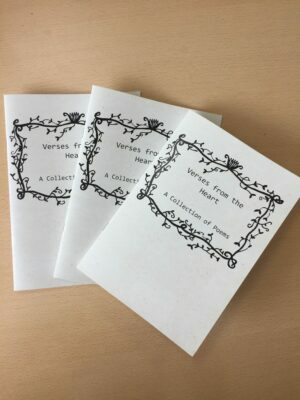 We are so delighted to announce that we have a brand new poetry book available to purchase on our online shop – Verses from the heart – which is filled with a collection of beautiful poems. The short book was written by a supporter who has found that writing her emotions down in a poem has helped her deal with the loss of her husband to pancreatic cancer. The author wishes to remain anonymous but wanted to share her poems with others and support the charity. We are so honoured to be able to produce this book and share these lovely poems with all of our supporters. They are extremely emotional and personal which have touched us and we hope you can feel as moved as we do by the words. If you would like to purchase your poetry book you can do so on our shop here for only £5!